Digital release of Unsounds 39U CD. 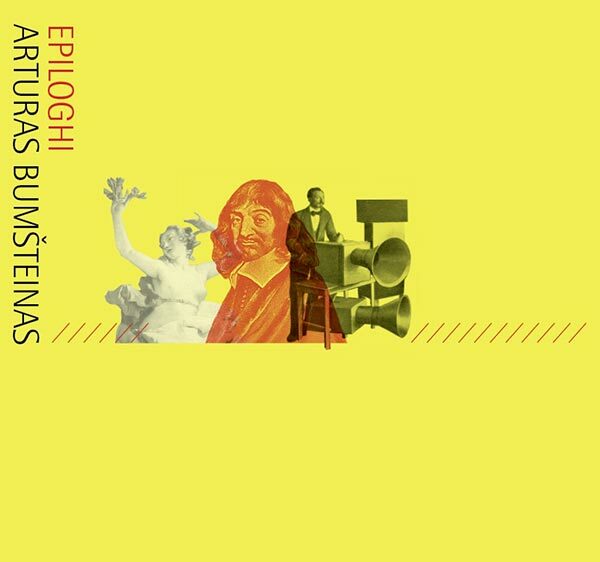 Epiloghi brings together two important sound works by Lithuanian composer and sound artist Arturas Bumšteinas; Epiloghi. Six Ways of Saying Zangtumbtumb and Night on the Sailship. These are highly inspired pieces combining layered historical references with a captivating sound world. The first composition is a multiple homage to Luigi Russolo’s manifesto “Art of Noises” (1913), René Descartes’ philosophical treatise “Passions of the Soul” (1649) and Jacopo Peri’s opera “Dafne” (1598). Each of its six parts is a hypothetical epilogue to the lost opera of Jacopo Peri, the earliest known work that is today considered an opera. These epilogues, based on human affects - desire, hate, love, sadness, joy and wonder are paired with one “family of noise” from Russolo’s “Art of Noises” manifesto. Bumšteinas uses noise-making machines that were used in Baroque theater to illustrate the phenomena of nature such as wind, thunder, rain, storm and so on, and that can still be found in several historical European theaters. The instrumental parts were composed by employing melodic/harmonic materials from around two hundred different popular melodies from the 16th to the 21st century. Night on the Sailship is based on recordings of theatre noise machines, stage prop and coulisse machinery; an imaginary nocturnal soundtrack for a large sailing ship. Both works were conceived as radio works and Epiloghi. Six Ways of Saying Zangtumbtumb received the “Palma Ars Acustica” EURORADIO award for the best Radio Art production of the year 2013.